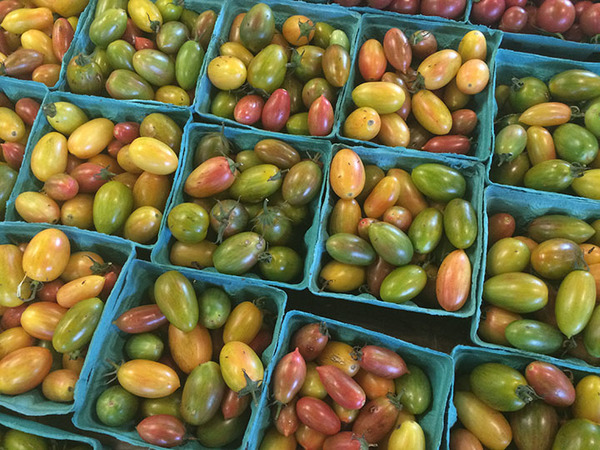 It's the time of year for peak tomato taste, and these Heirloom tomatoes don't disappoint. 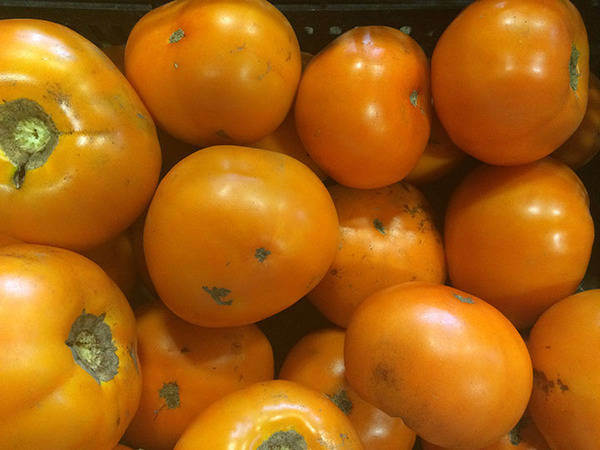 To learn more about heirlooms, click here. To make some delicious recipes with them, click here. 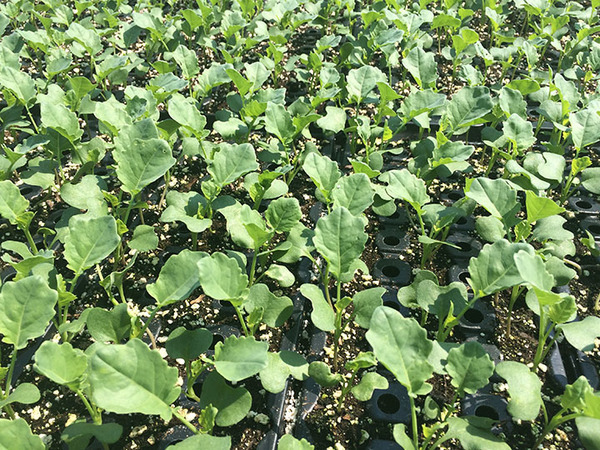 There are only 18 calories in a cup of summer squash or zucchini, and it has tons of good nutrients in it. It's delicious grilled, and is easy to cook! 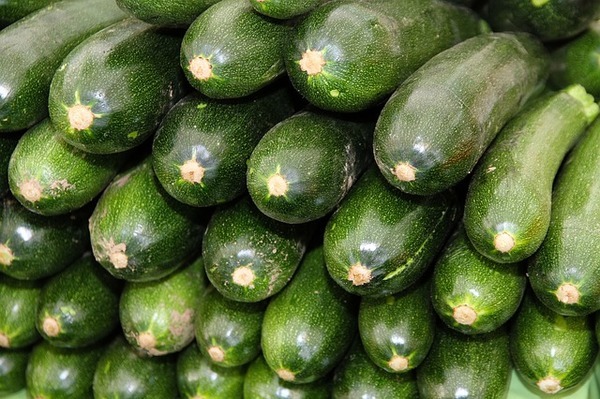 National Sneak Some Zucchini Onto Your Neighbor's Porch Day! 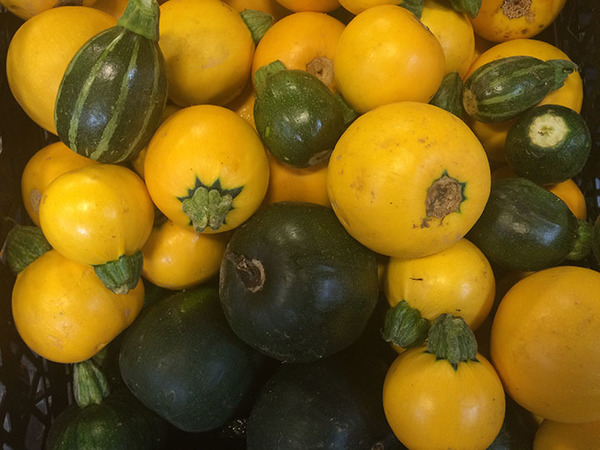 You can treat all the summer squashes the same way, whether they're round, like the 8 ball and cue ball types, or have scalloped edges like the patty pan and peter pan varieties. 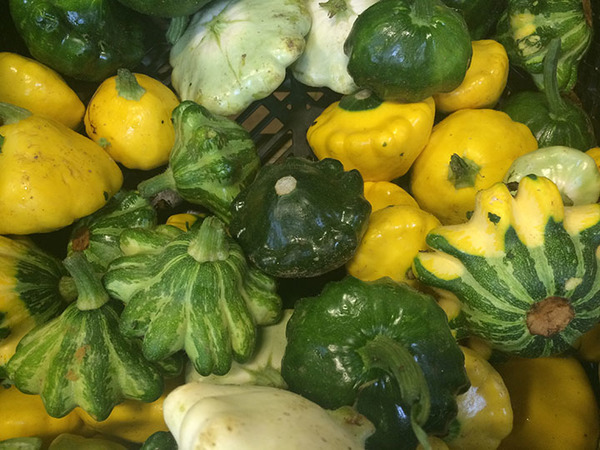 The round ones are great for stuffing, and we love to chunk and grill the patty pans. 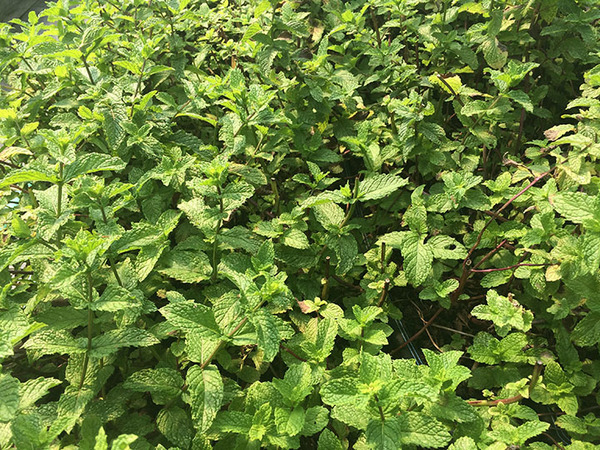 This 'Kentucky Colonel' mint is certified organic (as are all of our herbs) and it makes a perfect garnish for iced tea. Oh yes, it's quite necessary for Mint Juleps as well. 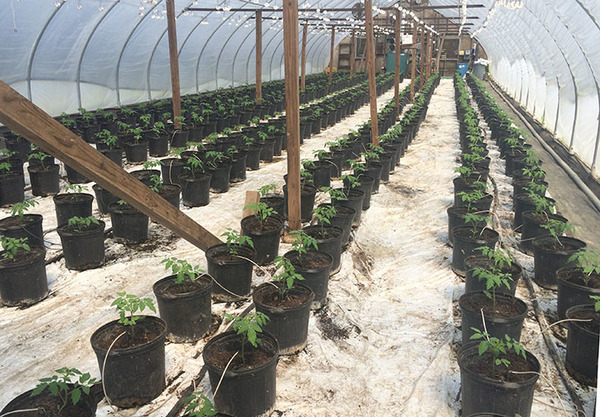 It's hard to believe it's time for the fall crop of greenhouse tomatoes already, but you know farmers need to plan ahead. These should be ready in November. 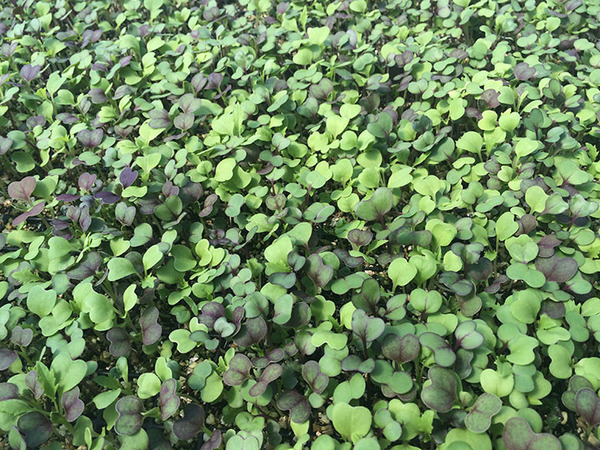 Micro greens (above and below) are all certified organic and are harvested by hand, using scissors. 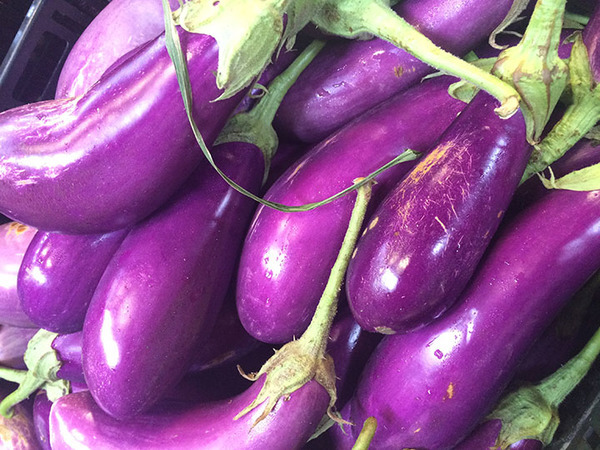 This wonderful hybrid eggplant may be called "Orient Charm," but it's grown right here on the farm. 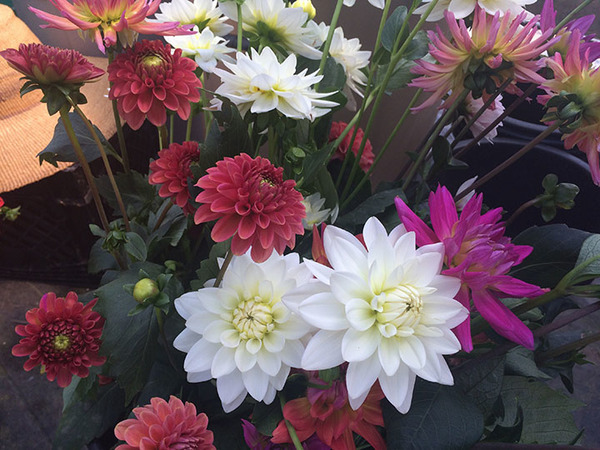 With 2 acres of cut flowers in the field and four dedicated greenhouses, you can be assured that we grew all those cut flowers that you see when you enter the market. Temptation, Vitality, Montauk and Providence. 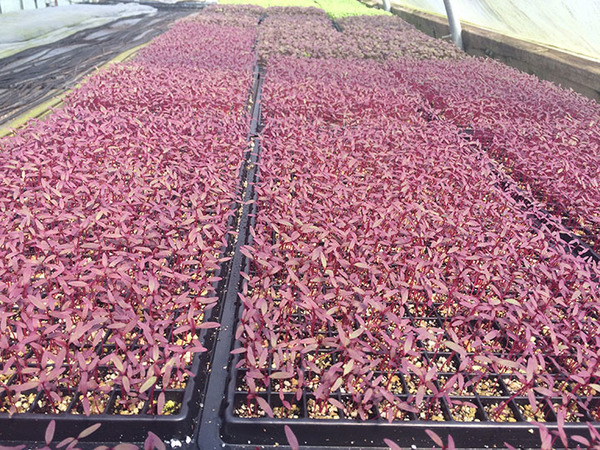 Did you know that we have to plant a lot more corn than we sell because the birds eat so much of it? 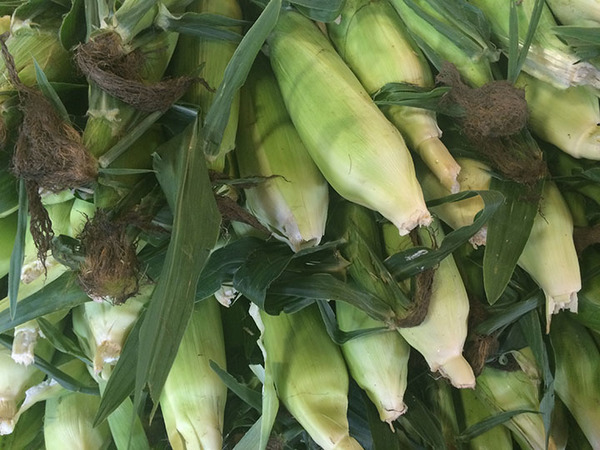 We (and the birds) eat it all summer, but there's nothing like the taste of Bartlett's Farm corn in January! It keeps really well in the freezer and you can use it in chowders, soups, stews and casseroles. around the end of September. 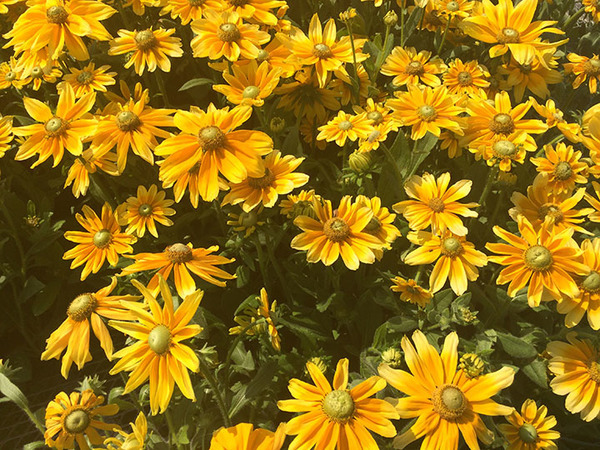 "Black Eyed Susan" or "Brown Eyed Susan." 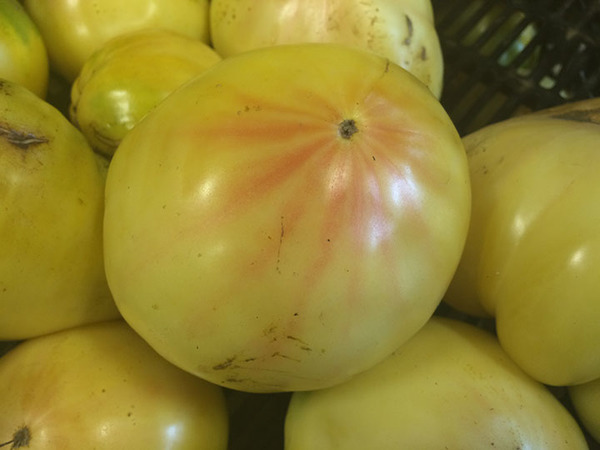 This particular variety is known at "Irish Eyes." Do you see it? None of this would be possible without our field crew. Three cheers for all of our employees! 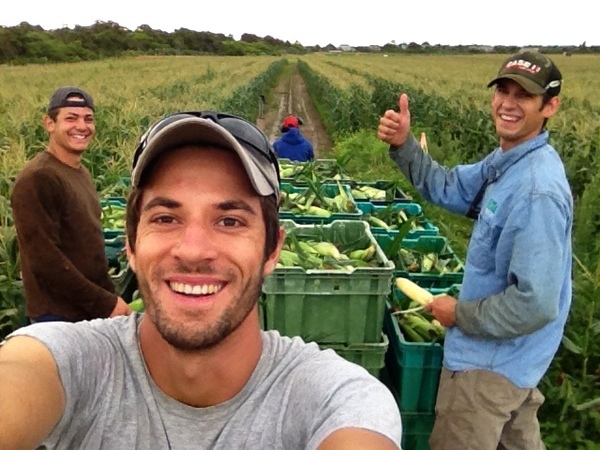 bring in the corn harvest every morning! ​Salomon from Haiti drives the tractor. 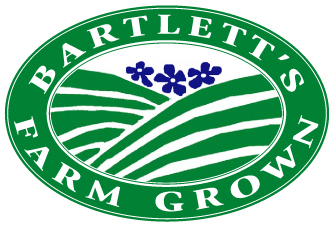 When you see the Farm Grown Label, you'll know that product was grown right here at Bartlett's Farm. And be sure to check around the market for lots of other end-of-season sales! 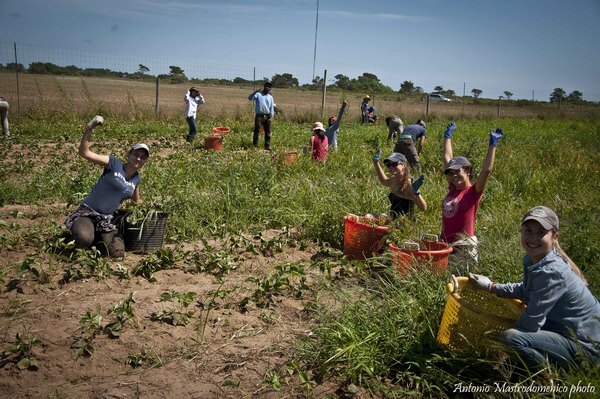 came to Bartlett’s Farm to learn about the challenges of farming on an island and to learn more about organic farming. 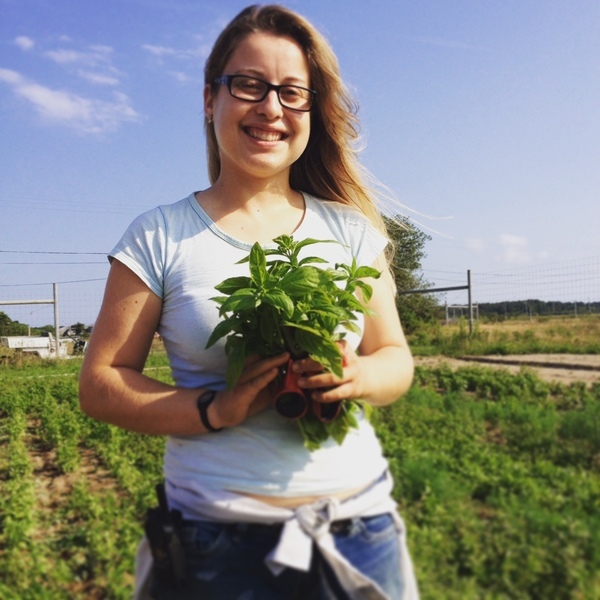 She loves being able to see each part of the process of vegetable production. Beatriz hopes to take what she’s learned here to eventually get her master’s degree to become an agricultural professor.